Bolivia, like many of its neighbours, fought a long and painful war to gain independence from Spanish colonial rule all those years ago. Nowadays, it still continues to strive to reach the kind of economic and financial stability it so badly craves. In the last decade Bolivia seems to have made a turn for the better, although it still remains South America’s poorest nation. Yet despite it not being very affluent or internationally prominent, it is still an incredibly beautiful country nevertheless and a very enticing travel destination. Some say Bolivia is South America’s hidden jewel, the one country whose most famous tourist trails remain uncrowded and much lesser-visited than its neighbour’s. 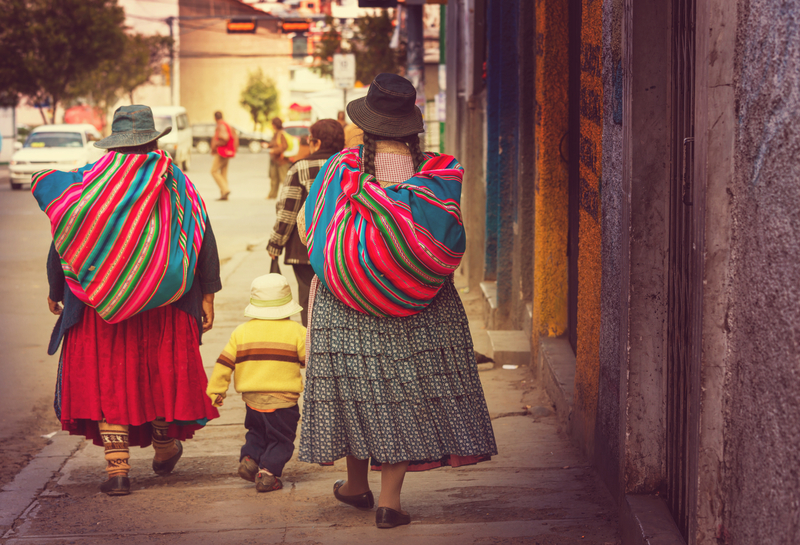 Bolivia’s inhabitants are fiercely traditional, loyal and proud. They don’t have much, except the fervent pride of being Bolivian. On their back, they carry centuries of hardships and irony. They were, once upon a time, living in one of the most prosperous lands of the New World yet were reduced to little more than slaves by much stronger and better-equipped invaders. Travelling to Bolivia is as much a cultural and a historical experience as it is one of magnificent nature. 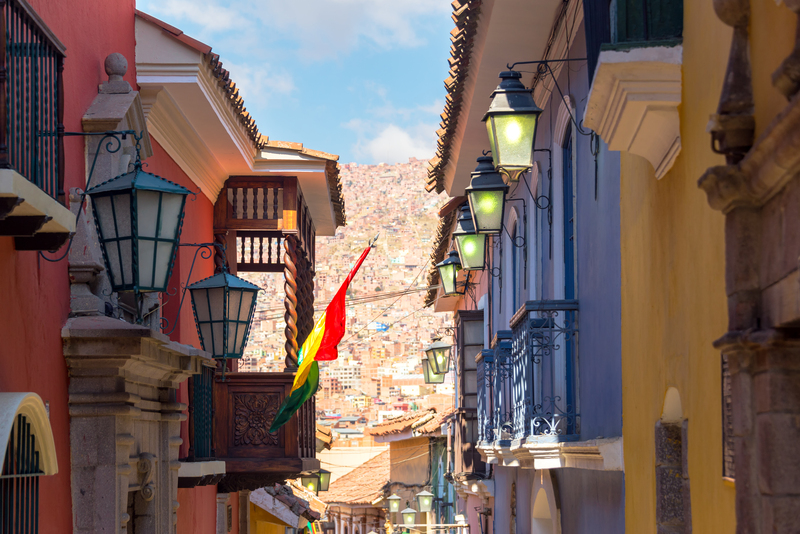 Boasting at least 30 indigenous groups, a substantial number of mixed-race nationals and a now flourishing immigrant population, Bolivia is one of the most multi-cultural countries in the region. This has no doubt contributed to its political and social instability, yet this is also what makes it a very rewarding destination to visit. Read and learn more about the history of Bolivia and you will, without a doubt, enjoy a much more rewarding visit. 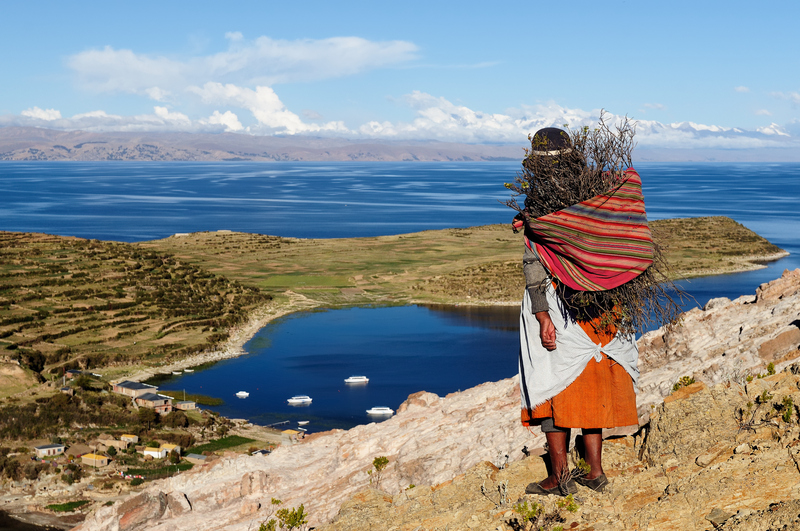 Like any of its neighbours, Bolivia boasts a very rich pre-Inca history, with the area on the southern shores of Lake Titicaca (as much of the Bolivian Altiplano) believed to be a thriving inhabited centre some 2,000 years ago. Whilst this ancient Tiahuanacotas culture grew exponentially and was involved in agriculture and trade, it seemed to have abruptly disappeared around the 13th century, most probably conquered by the powerful Aymara. What they left behind, however, is the intriguing archaeological site which now bears the culture’s name. Tihuanaco is now one of the most popular highlights for visitors to La Paz. Historians believe this was a very complex culture which was quite advanced for their era. It is believed they even made contact with the Nazca people, of modern-day Peru. But the Tihuanacos were not the only culture living in Bolivia in these ancient times. The Bolivian lowlands were inhabited by the Moxos, whilst the Mollos lived north of what is now La Paz. All of these cultures disappeared, almost into thin air, at about the same time. As luck would have it, or as history has shown, when one culture disappears it is usually at the hands of one mightier, greater power. The Aymaras had their day in the limelight in the 13th century but didn’t last long once the Incas arrived in the Altiplano. The Incas, one of the most known ancient empire in South America, rose to prominence in Bolivia in the 15th century, advancing and conquering lands at a head-spinning speed. They assimilated foreign indigenous cultures into their own, enslaving them to work in their mines and fields, and building their great cities and aqueducts. Interestingly enough, the Incas never managed to conquer southern Bolivia (the lowlands from Lake Titicaca) and that’s why this region lacks any of their archaeological sites. Of course, it’s easy to imagine they would have moved further south…had they just had enough time. The Spanish arrived in Bolivia looking for gold and riches in the early 1500s. Their rule was brutal and, it must be said, also very efficient. Within a decade, it is said, the country we now called Bolivia was conquered. Called Upper Peru and under the administration of Lime, Bolivia was turned into one, bona fide, colossal mine. By the end of the century, the country’s mining history was intensified and cemented. Over the next 300 years, Bolivia – and its indigenous inhabitants – was prolifically exploited for minerals and labour, with all the revenue shipped out across the Atlantic. The old mining city of Potosi, which should really be included in any overland private tour from La Paz to the astounding Uyuni Salt Flats, was the largest, richest and most populated city in the Western Hemisphere during Spain’s colonial rule (also home to the colonial mint). The silver-enriched mountains of Potosi continued to be mined right until the 1990s and the city is an incredibly fascinating place to visit albeit, arguably, not an immensely pretty one. But that’s OK. Your eyes can happily feast on UNESCO-listed Sucre, once another major Spanish colonial hub and now the capital of the country. 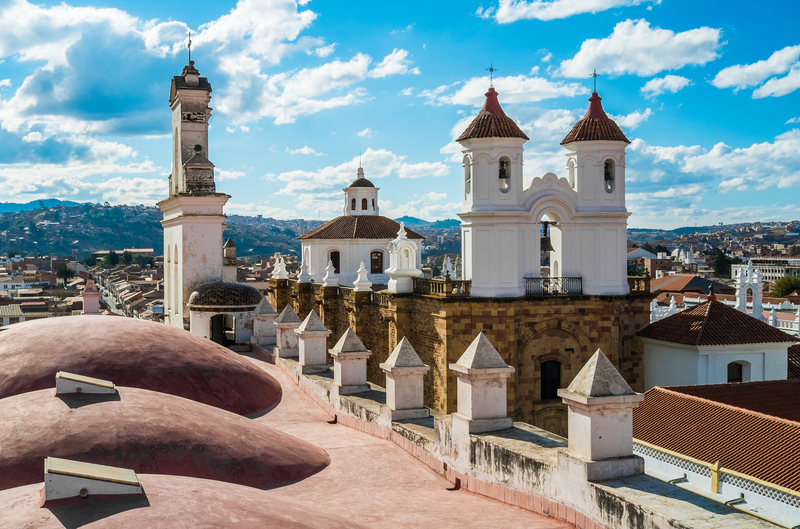 Sucre would have to be Bolivia’s most beautiful city. Given the financial importance of Bolivia in the New World, it may be surprising to discover how undeveloped it still remains. But fact is, aside mining and building the necessary infrastructure to ship minerals out of the country, the Spanish achieved – and wanted to achieve – nothing else. Too rugged, inhospitable and cold to become a viable country of residence back then, it was merely used for what it was needed. The Spanish colonial reign over Bolivia shaped the country’s future in a myriad of way. Even the caste-like social system seen nowadays is a by-product of that era. Lighter-skinned and wealthier mestizos (people of mixed European and indigenous descent) now form the country’s middle-class whilst two-thirds of the population, the purely indigenous one, hangs perilously on the poverty line. Brewing discontent between Europeans and indigenous groups erupted into a fight for independence, one Bolivia did not emerge from too victorious. Bolivian independence was finally won in 1824, initiating the beginning of the end of Spanish rule in the region. The liberator of the country was one Simon Bolivar, a Venezuelan army general who was chuffed with his own achievement he named the new country after himself. What ensued after independence was a period of great unrest, both domestically and among neighbouring (new) countries, like Peru and Chile. The former invaded Bolivia in 1825 and stole a large chunk of its land, and the latter declared and won war on it (War of the Pacific) leaving Bolivia ever-so-smaller, starved and – more importantly – landlocked. The country’s ongoing economic struggles nowadays can easily be pinned back to these two main historical events. Evo Morales, the current Bolivian President, may be considered an edgy figure by the West, but fact remains he’s managed to greatly decrease social inequality, illiteracy and poverty in the country since his tenure began in 2005. He is the country’s first-ever indigenous leader and was a fierce indigenous activist before entering politics. It’s easy to see why he is disliked by the West. His leanings are fervently leftist and his blatant dislike of US (and international) interference in Latin America certainly winning him no fans way up north. Morales managed to expropriate foreign-owned companies in Bolivia and, within just the first year in office, had nationalised the country’s mining and gas industry. Morales was particularly active in his protests against Western attempts to eradicate coca plantations in Bolivia aimed at reducing the drug trade, claiming his people shouldn’t be punished for something they had been doing for a thousand years if outsiders decided to misappropriate their native crop. Now on his third term as President, Morales faces criticism from both side of the fence: from the left for not doing enough for indigenous cultures and from the right for doing too much and, basically, being a non-team player. Irrespective of all that Morales has achieved – or has not achieved depending on your viewpoint – Bolivia’s economic rise in the last 10 years has not gone unnoticed. This is now the fastest-growing economy in Latin America, steaming ahead faster than even Brazil, whose economy seems to be currently stagnating. Since 2001, the average wage has increased in Bolivia by 300% and poverty has fallen by an impressive 25%. The country is certainly riding the international commodity wave with natural gas now accounting for more than 40% of its annual exports. Yet as commodities go, they are transient and unstable at best. Prices have already started to fall for natural gas and if the trend continues Bolivia may well need to look elsewhere to continue its impressive stride forward. This very interesting article by the Washington Post highlights some of the reasons why socialist-leaning Bolivia is thriving whilst its similarly-leaning regional counterparts are not. 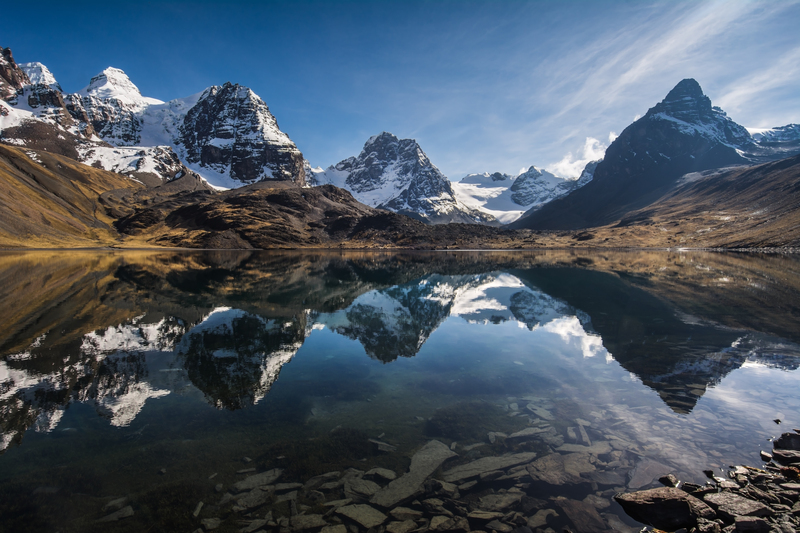 Complex, enigmatic and ever-so beautiful, Bolivia is one of those countries that hides a multitude of faces behind its splendid façade of snow-peaked caps and arid plateaus. So take the time to soak it all up, when you next visit, and besides the wonders of its natural treasures you’ll discover a country which has fought long and hard to be counted and respected internationally. For in-depth tours of Bolivia and add-on to longer tours in neighbouring countries, contact us for more info. 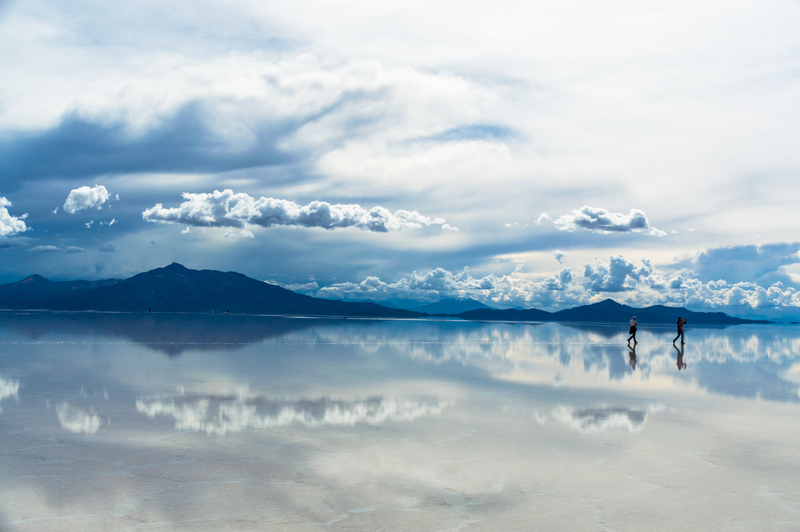 Travel to Bolivia's main highlights including La Paz, Lake Titicaca and the Uyuni Salt Flats.